Bidgely has expanded its industry-first UtilityAI solutions into utility customer service centers with the introduction of CARE. 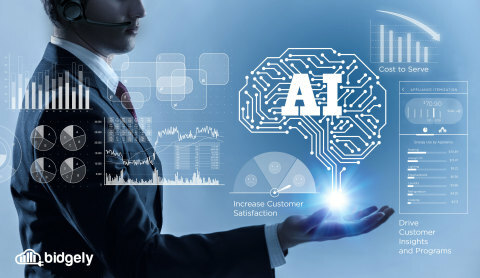 Through integrating artificial intelligence into power utility and energy retailer customer service centers, CARE reduces operational costs and enhances customer satisfaction while also enabling customer service representatives (CSRs) to drive strategic utility goals. These include goals such as boosting targeted program enrollment, shifting customers to advantageous rate plans and generating new revenue through selling ROI-driven, targeted products and services. Customer Bill Analyzer: AI-powered appliance-level energy disaggregation to arm CSRs with customer usage and comparative models and patterns to solve high bill calls. Action Advisor: Personalized recommendations to increase CSAT; program enrollment; and use of targeted rebates, incentives and rate plans that drive customer retention. Remote Audit: Empower CSRs to conduct a successful remote audit assessment and share results and recommendations with customers. Engagement View: CSRs get the full view of a customer’s web dashboard and sees how customers interacted with email, SMS, paper, web and mobile channels.